We are deeply grateful to all of Nico’s friends and acquaintances who have expressed their condolences to us and their appreciation of our beloved and unforgettable father, grandfather, father-in-law, brother-in-law and uncle with kind words and in other ways. Thank you so much. 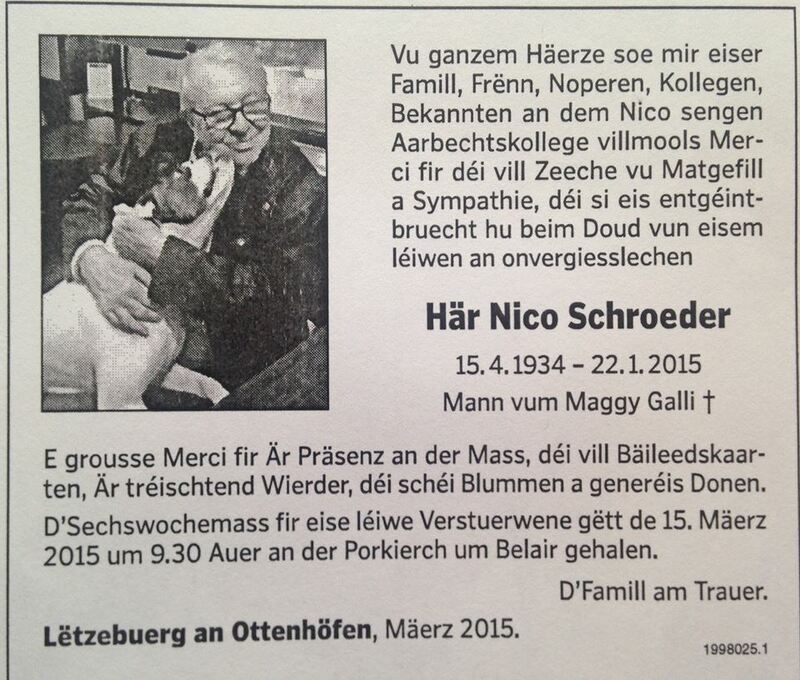 In late afternoon of 22 January Nico Schroeder passed away after a cerebral hemorrhage and a massive heart attack. 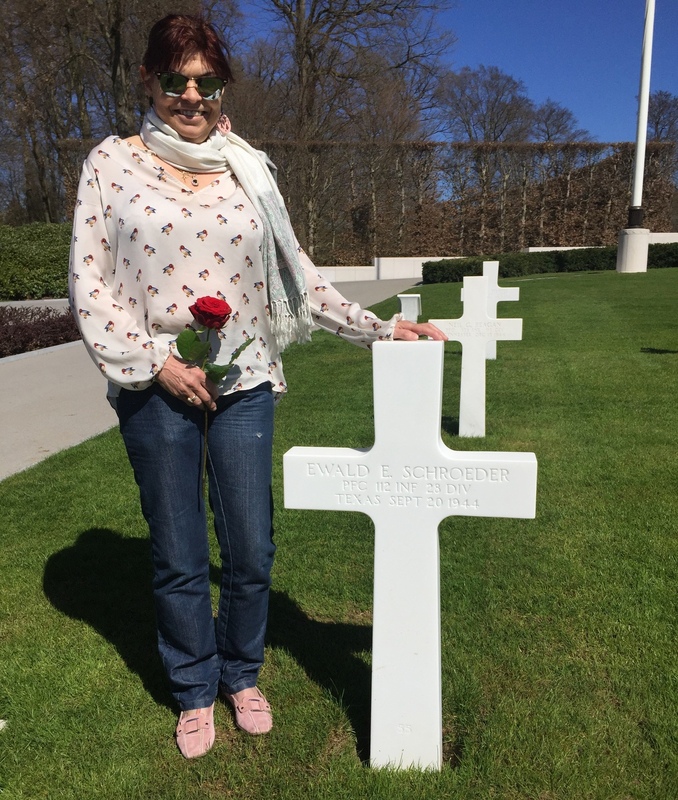 He had been in intensive care in Luxembourg City’s main hospital since he broke his neck when he suffered a stroke and a bad fall on some steps near his home late on 7 January. He will be interred next to his wife Maggy in the Merl cemetery in Luxembourg City at 16:00 (4 p.m.) on Tuesday 27 January 2015 and a funeral mass will be held for him in the Belair Catholic church an hour later. As is the custom in Luxembourg, donations can be made to a charity in honor of Nico. This is just to let all of Nico’s friends and acquaintances know that in the evening of 7 January 2015 Nico broke his neck in a bad fall on some steps near his home. The injury is very serious and he has been kept in an artificial coma in Luxembourg City’s main hospital since that day while doctors are trying to help him recover. He has many activities planned but the accident will keep him grounded for a while…. The manager of this site.